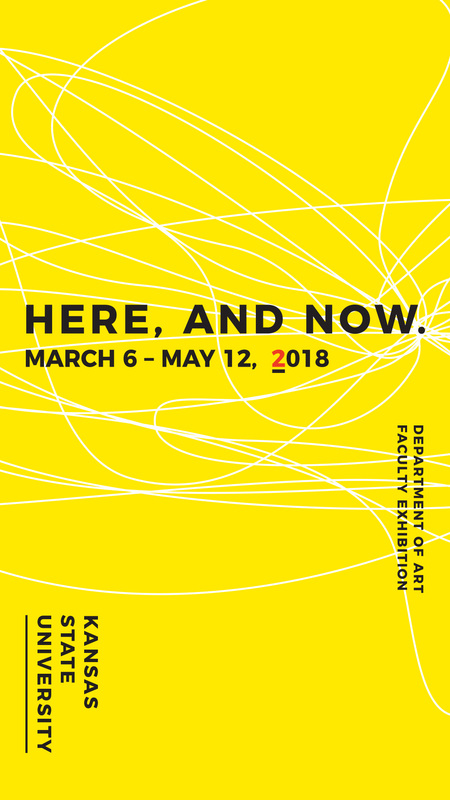 Join us at 6:00 pm on Thursday, March 15 for the opening reception of Here, and Now. Kansas State University Department of Art Faculty Exhibition at the Marianna Kistler Beach Museum of Art. 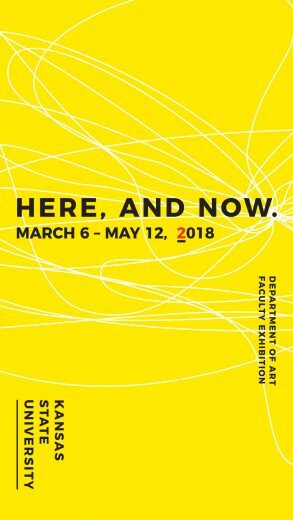 The works in this exhibition represent the studio practices of fifteen members of the Kansas State University Department of Art. These works, made within the last two years and varying in concept and construction, feature the disciplines of ceramics, drawing, fibers, graphic design, painting, photography, sculpture, and new media. The artists are a diverse group from across the nation and around the world, who now call Manhattan, Kansas, home. 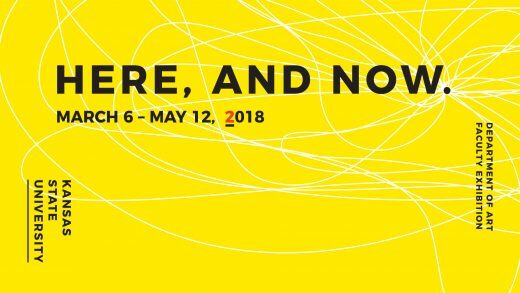 Chad Alligood, chief curator of American art at the Huntington Library and formerly curator of the critically acclaimed Crystal Bridges “State of the Art” exhibition, will make remarks in the gallery during the exhibition opening reception. The galleries will be open and refreshments will be served; cash bar available. “Here, and Now.” is accompanied by a digital catalogue, with a foreword by Chad Alligood. Thursday, March 15, 2018, 6 p.m.
Thursday, February 8, 5:30 p.m.
Friday, March 9, 5:30 p.m.